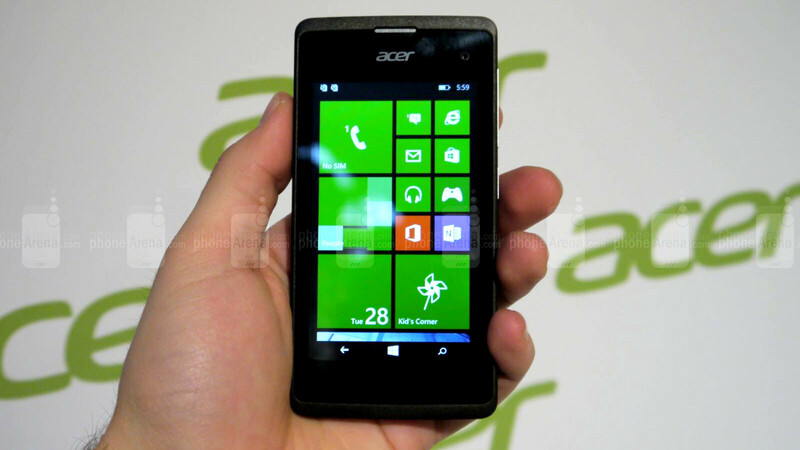 At MWC 2015, Acer just unveiled the Liquid M220, a low-end Windows Phone device, endowed with a 4-inch display at the front. At the back, photography lovers will find a 5MP camera which will hardly soothe their photography hunger, while selfie lovers will have the opportunity to shoot themselves with the 2MP front-facing selfie snapper. Inside the device, we find a humble 1.2GHz chipset of unknown make, but we are suspicious that Qualcomm has been responsible for it. Paired with 512MB of RAM, the Liquid M220 doesn't provide stellar performance, but lives up to its low-end status. You have 4GB of native storage on board, which is a pretty lowly number, but don't forget what we are dealing with here. The device runs on Windows Phone 8.1 and will eventually receive Windows 10 for phones. As a whole, an acceptable experience for Windows lovers who are on a tight budget. MS seriously needs a high end handset. This is seriously outdated, even by low end standards.